Beautiful surroundings, healthy living and a relaxing atmosphere at the gateway to the Finger Lakes region of New York State. Brookton Hollow Farm lies in a quiet valley just outside of Ithaca, NY. 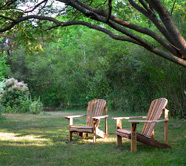 It is a 135 acre organic farm a short distance from Cornell University, Ithaca College, and downtown Ithaca. On the farm you can walk to our pond or along Six-Mile Creek, relax in the yard or on the deck, inspect our solar-electric system, and enjoy a beautiful sunset.